The hogweed’s danger lies in its clear and watery sap. If the sap from a broken stem or crushed leaf, root, flower or seed comes into contact with skin, it can cause severe burns, blistering and painful sores when the skin is exposed to sunlight. Giant Hogweed poses a serious health threat - if you come across it or think you have it on your property, DO NOT touch it. If even a small amount of sap comes into contact with the eyes, it can lead to temporary or permanent blindness. Giant Hogweed can grow 4.5 to 6 metres in height (15 to 20 feet). Its leaves are over a metre wide (3.5 feet) and feature hairs on their underside. Its hollow stem has dark reddish-purple splotches and coarse white hair. 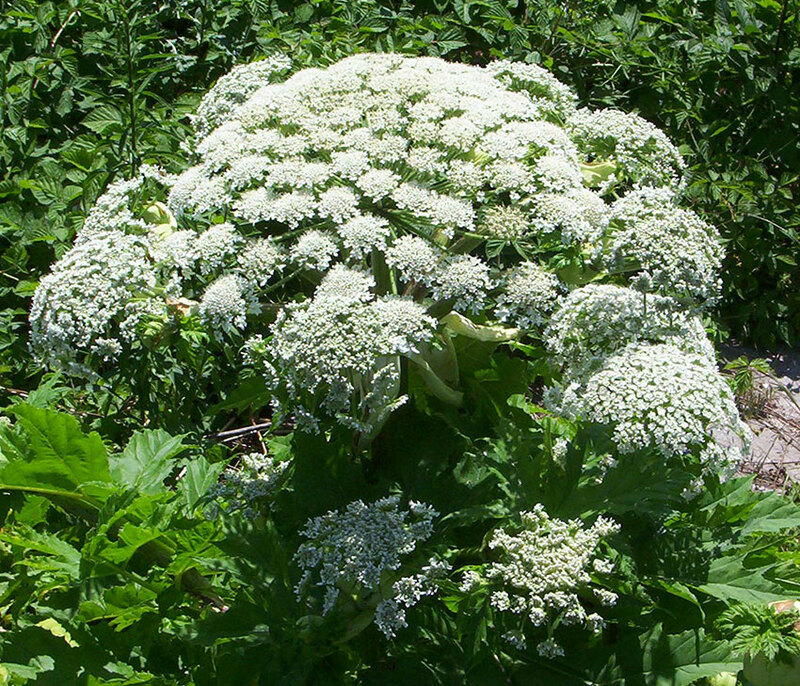 Hogweed is able to live in a variety of habitats, but is generally found in moist soils. It is often seen along roadside ditches, stream banks, and vacant lots. Do you have Giant Hogweeds on your property? If you do, this invasive species is dangerous (chemicals on the plant can burn the skin) and you should be careful working near the plant. If you want to try to eliminate or, at least, control Giant Hogweed, volunteers on Mono's Headwaters Streams Committee may be able to help. These are volunteers, not Town employees, so they will take requests only to the extent they can handle the work. 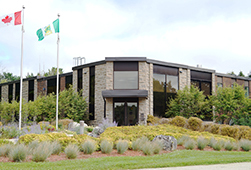 Email Councillor Fred Nix at fred.nix@townofmono.com for details. Wild Parsnip, also known as Poison Parsnip, is a toxic plant that is spreading throughout Southern Ontario. You should avoid the plant when spending time outdoors during the summer months and teach children to do the same. Certain individuals may be affected by Wild Parsnip more than others as they may suffer from a heightened sensitivity to the plant’s sap. When the stem is broken or the plant is brushed against, exposure to the sap can cause severe rashes, blisters or burns resulting in brown scars that can last for several years. If a person’s eyes come into contact with the plant’s sap, it can cause temporary or permanent blindness. Wild Parsnip is amongst the most visible yellow-flowered weeds in disturbed areas, such as roadside ditches, along railroad right of ways, through cracks in parking lot pavement, around sports fields and recreation areas, fields, pastures, fence rows and yards during July, August and September. The plants vary in height from 50 to 150 cm (20" - 60") and produce yellow flowers with 5 petals forming a head shaped like an umbrella. Leaves are branched and are characterized by a saw toothed edge. 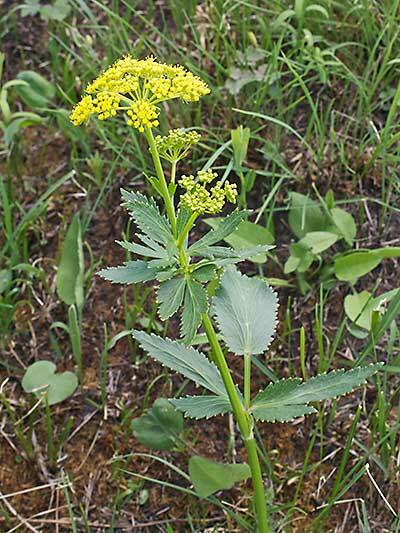 If you discover Wild Parsnip on Town owned public land, including the road allowance, contact the Public Works department at PublicWorks@townofmono.com.